Crock Pots are a huge help in the kitchen. They make meal prep a cinch and give a wonderful aroma as the meal cooks, almost by itself. But be sure to avoid these slow cooker mistakes. If you open the lid, fill pot too full or add ingredients in the wrong order, you may end up with a mess instead of a great tasting meal. The slow cooker, or crock pot, is certainly one of the most popular kitchen utensils. Who doesn’t like the idea of dumping in a bunch of ingredients, turning it on and leaving it to cook while you tend to other things? 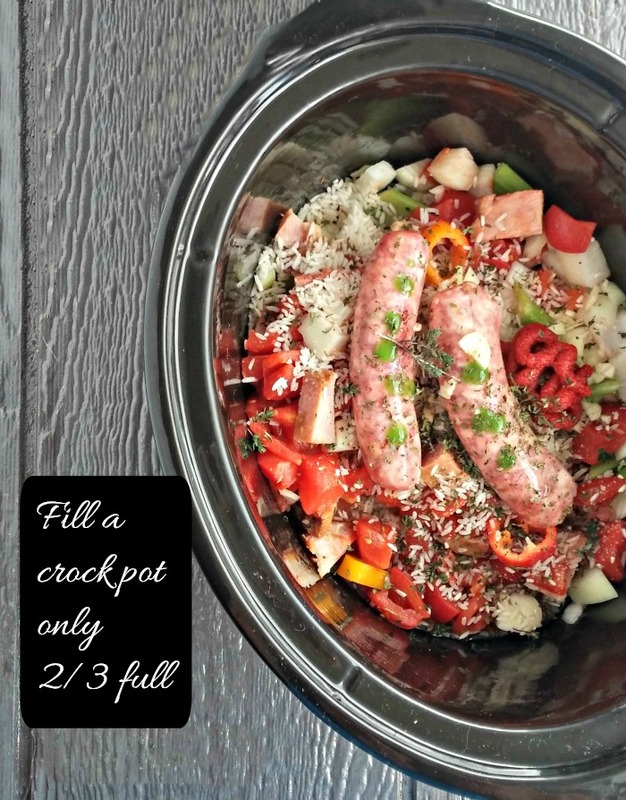 I love using my slow cooker, and I’m always adding new crock pot recipes to my collection. There are a few things to keep in mind, though, when cooking with a slow cooker. I love my slow cooker and use it year round. The food makes my house smell good while it is cooking, and I love to prepare early in the day and then get on with other things, even though I am normally home all day long. Are You making one of these Slow Cooker Mistakes? Are you a cook who doesn’t use the crock pot correctly and ends up with results that show this? It might be because you are making one of these common slow cooker mistakes. While the slow cooker can make meal planning a cinch, there are still some rules to follow to get best results and many people make at least one of these slow cooker mistakes as they are getting used to using it. 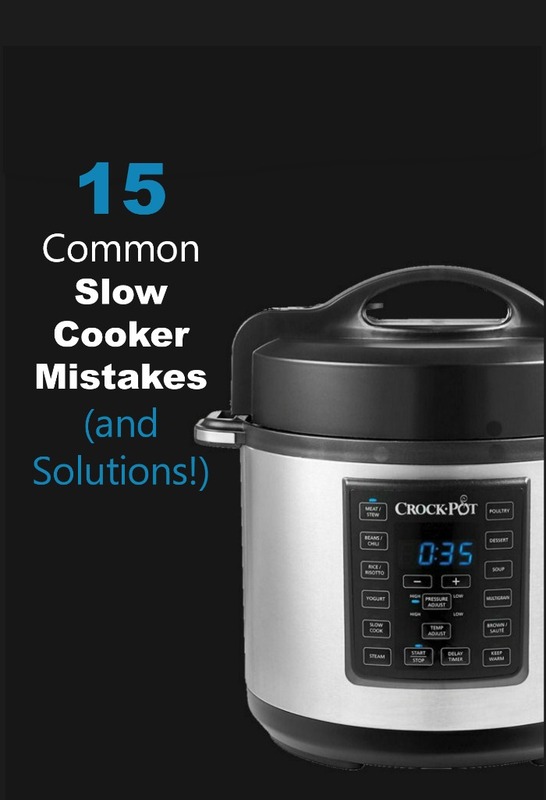 Just be sure you don’t make these crock pot errors and you will love to use your slow cooker as much as I do. 1. Don’t raise the lid. This tip is at the top of my list of slow cooker mistakes for a reason. It’s the most important one! Don’t raise the lid. I’m not kidding. Not for a peek. Not “just to see how it is cooking.” Instead, follow the directions carefully. It will tell you when to open the lid to add other ingredients. Often, the lid is kept on during the whole cooking process. The reason for this is that a crock pot is designed to cook food over a long period of time at an evenly low temperature. Taking the lid off even for a few seconds means that the crock pot will lose the heat it has built up. 2. Be sure to use the correct cut of meat. A crock pot will save you lots of money by allowing you to cook cheaper, and less tender cuts of meat that get amazingly tender. Save the more expensive cuts like round steak, sirloin and other more tender cuts of meat for the grill or stove top. Why waste money when the aim is to get tender results from cheaper cuts? Inexpensive cuts will cook beautifully and won’t fall apart like cuts that are already tender. Also make sure to trim some of the fat. Fat in the crock pot will rise to the top during the cooking process. 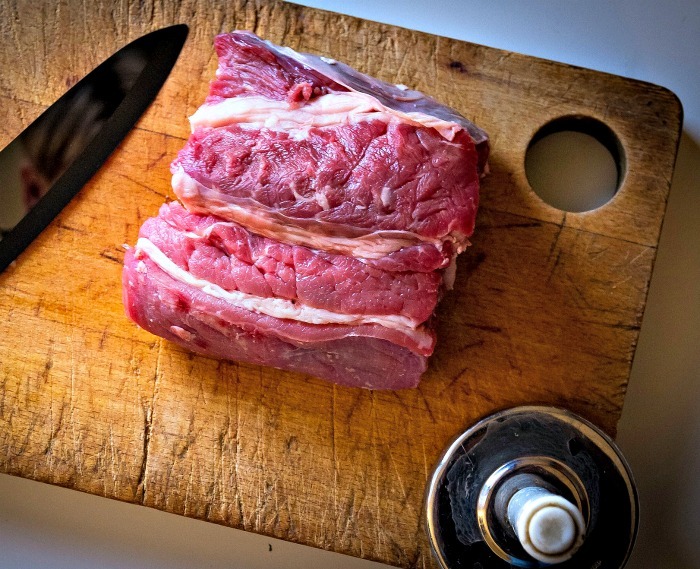 If you don’t trim the meat before you start, you’ll end up with a greasy and oily pool of liquid at the top, or a watered down sauce at the end of the cooking time. If you do use a leaner cut of meat, be sure that it is submerged in your cooking liquid so that it doesn’t dry out while it cooks. Good choices are flank steak, chuck roast, short ribs, beef stewing meat, lamb shanks, chicken thighs, and pork shoulders. They will become fork tender as they cook in the crock pot. 3. Don’t use raw meat. 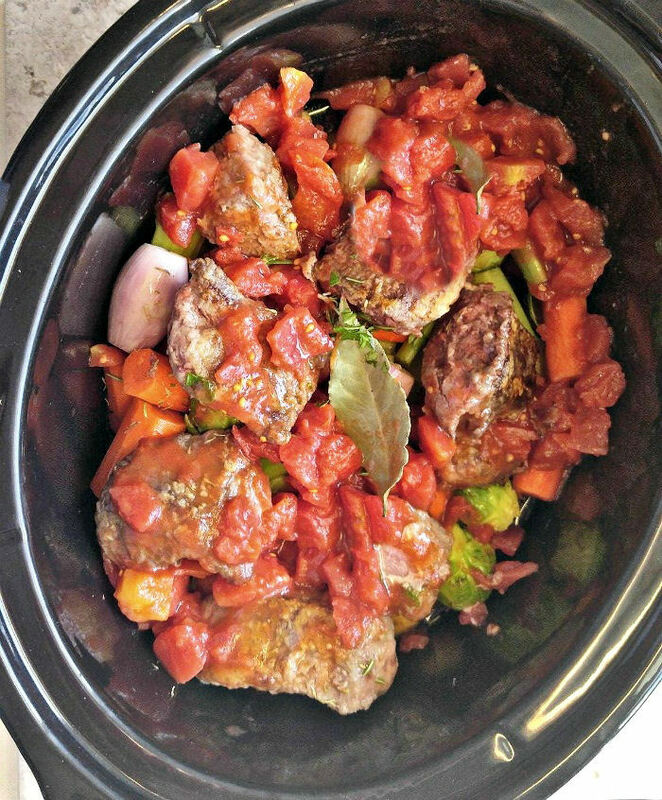 For me, one of the biggest slow cooker mistakes is to use raw meat in the cooker. Can you do it? Yes of course. Will the meal taste as good? No way! 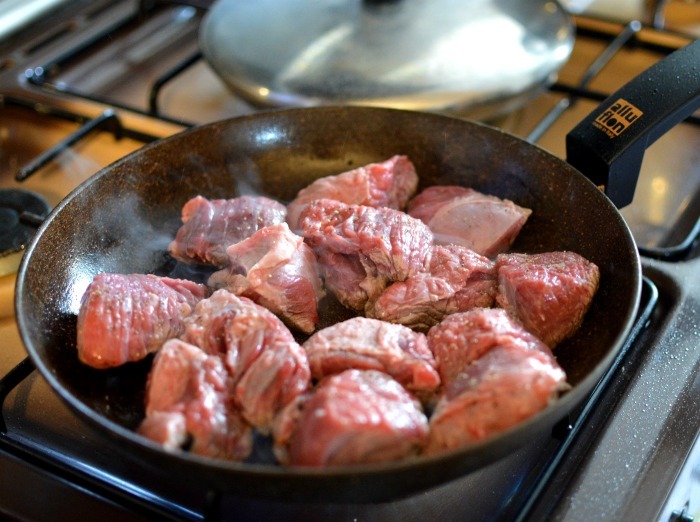 Browning the meat in a skillet on the stove top caramelizes the flavor and seals in the juices. Adding raw meat to the slow cooker will work, but the meat just won’t have the same flavor. Sear the meat before you add it to the slow cooker. (I often coat the meat in flour before I sear it. Doing this also has the benefit of thickening the sauce without adding extra flour or cornstarch later. This recipe for slow cooker pot roast shows how to do this step. Just a quick sear is all you need. You don’t want to cook the meat, you just want it to get brown before you add it to the crock pot. A couple of minutes on each side will work just fine. 4. Using way too much alcohol is a problem. In the crock pot, this reduction does not happen, so the end result would end up with a sauce that is too much like raw alcohol, which is not what you want in a recipe. Use broth instead, or reduce the amount of wine used in the recipe. 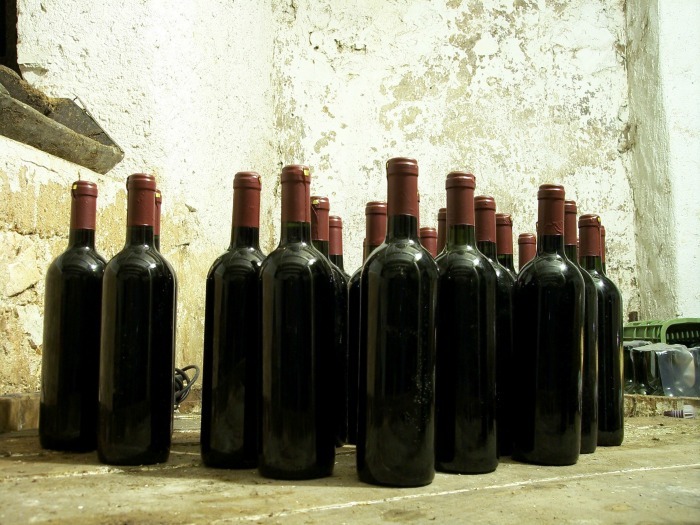 Another way to get the great wine flavor is to reduce it on the stove top first. You can do this right after you sear the meat to make use of the bits in the pan! After the liquid is reduced, you can then add it to the crock pot. 5. Don’t use chicken with skin. Skin your chicken before you add it. That is, unless you like the taste of rubbery, tough chicken skin. Chicken skin will not “simmer to a crisp” in the crock pot any more than it would on the stove top over a low heat. The fat of the chicken skin will also make the sauces oily. 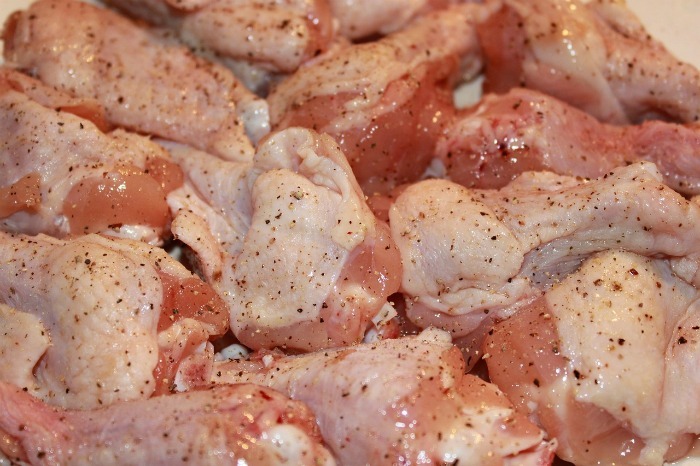 The bones of chicken could become very soft and break down if the recipe is cooked for too long a time. This could be a potential choking hazard. The solution to this problem is to remove the chicken half way through and remove the bones and add it back. You’ll get the great flavor that the bones give to a recipe without worrying about them being a health hazard. Bones of other meats in a crock pot recipe are not a problem and will make the meat more tender and flavorful. 6. Don’t be too hasty with fresh herbs. One of the most common slow cooker mistakes is to add fresh herbs too early in the cooking process. 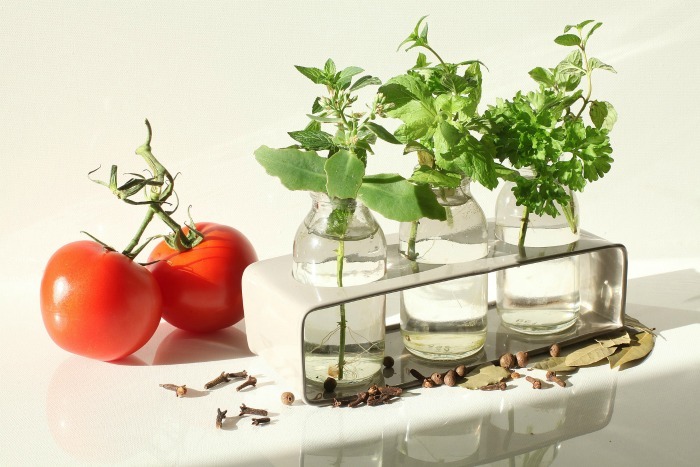 Fresh herbs have a very delicate flavor and will simply get lost if you add them too soon. Save fresh herbs for the final half hour and you will get their burst of flavor through the dish. You will also keep more color in the herbs by adding them last. Add the fresh herbs with other ingredients that need less cooking time so you don’t have to open the lid more than once. Dried herbs can be added in the first stages of cooking time, but add a pinch or too more of dried herbs that you would for a normal stove top recipe. Don’t Make these Crock Pot Errors! 7. Don’t forget to layer properly. 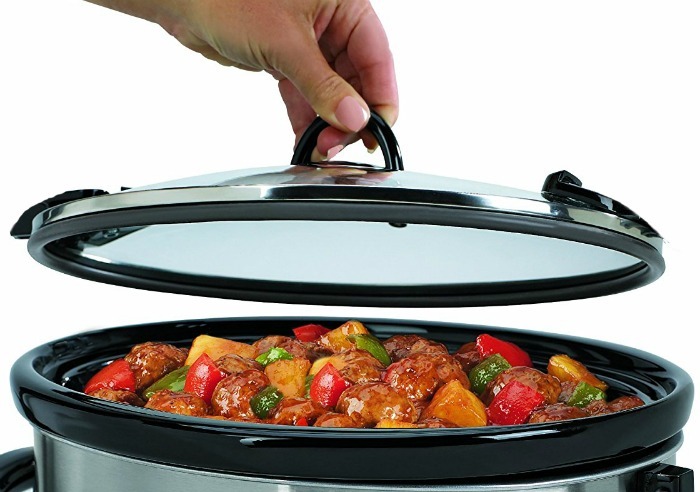 The bottom of the crock pot should be used for foods that take the longest time to cook, such as root vegetables. Doing this insures that the food layers cook evenly with everything being done at the same time. (See my recipe for slow cooker beef stew with root vegetables here. Adding the meat over the top of the vegetables also ensures that the juices from the meat will drip down and flavor them, as well as adding taste to any liquid that may lie below the meat. This is what gives you those great tasting crock pot sauces! Just because a crock pot will let you cook something for 10 -11 hours, does not mean you should cook it that long. 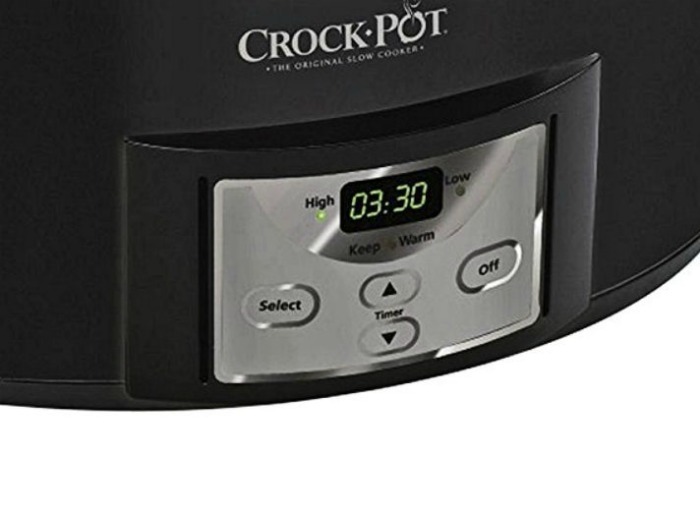 Invest in a crock pot with a timer (affiliate link) if your recipes will be done in just four hours. The house will still smell great when you come home and the food will taste great too, and not be over cooked and dull tasting with a lack luster flavor. 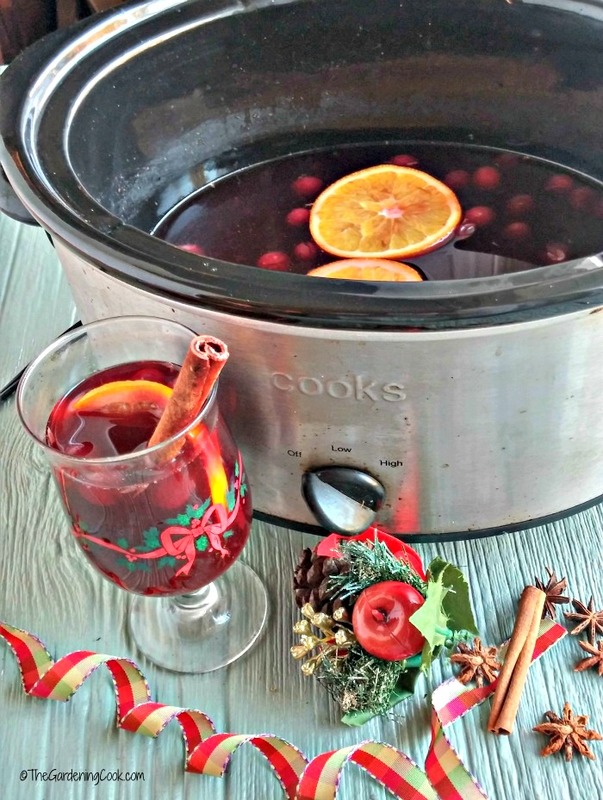 I have a slow cooker recipe for mulled spiced wine that requires just two hours in the crock pot. Can you imagine what it would taste like if I let it cook all day long? Long slow cooking for hours and hours should be saved for those very tough cuts of meat that need this extra time. 9. Don’t add dairy products too soon. If you add dairy products early on in the cooking time, they may curdle and spoil the whole dish. It’s best to wait until the last half hour or so of the cooking time to add them to the slow cooker. 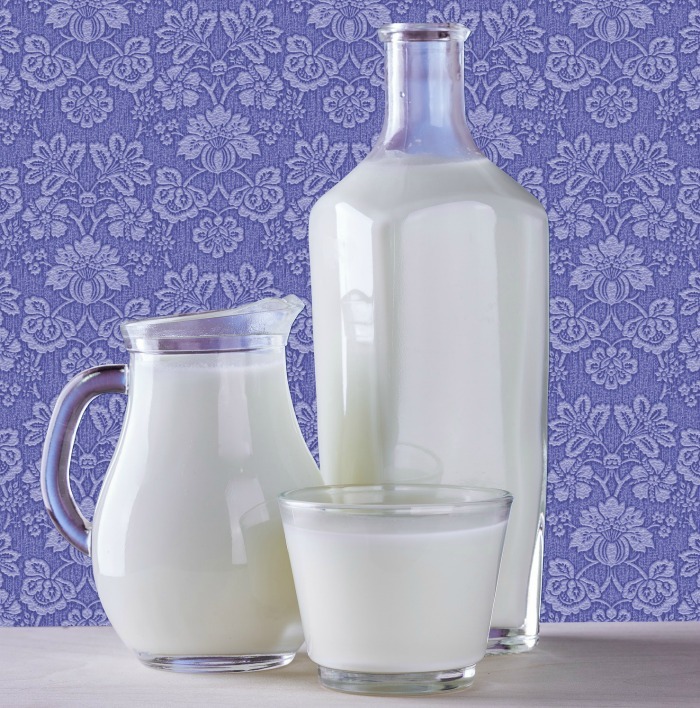 This goes for dairy products like milk, sour cream and yogurt (as well as coconut milk and evaporated milk). Cheese is an exception. Many slow cooker recipe that include cheese ask for it to be added in the first stages of cooking. 10. Don’t get confused by cooking times and settings. Number 10 in my list of slow cooker mistakes has to do with the way a recipe is written, so I can’t blame you for making this mistake. Many crock pot recipes will say something like this: Cook on high for 4 hours or on low for 8 hours. This is done more to accommodate a cook’s schedule more than the taste of the meal. However, the two results won’t be the same. The appliance is called a slow cooker for a reason. It is meant to extract lots of subtle flavors after a long slow cooking time. Just because it can cut a cooking time in half doesn’t mean that this is a good idea. Also, many recipes call for low for the first part of the recipe and high for the last part. This is done for a reason – get the most of the tenderizing slow cooking and speed up the process towards the end for the less dense ingredients. 11. Don’t forget to cover the meat, too. 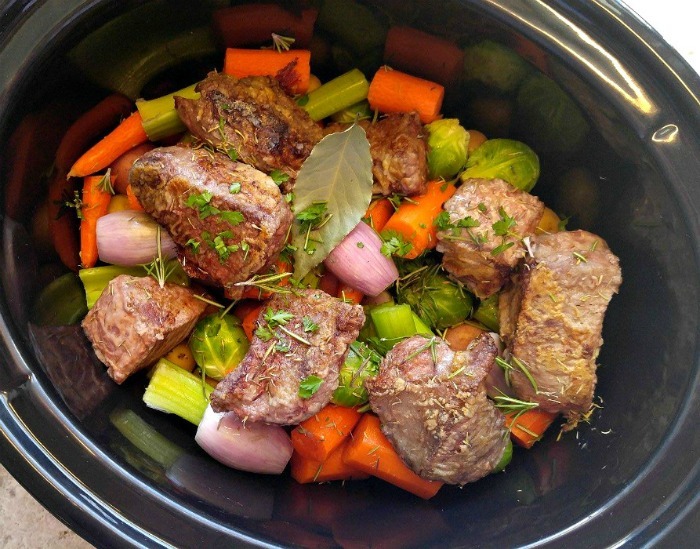 A question that I often get from readers is “does the meat have to be submerged in a slow cooker?” There is no hard and fast rule, but generally the answer is yes. A crock pot works best when all of the ingredients are at least partly submerged, so that the food cooks evenly. This gives tender, juicy meat and veggies that are fill of flavor. You CAN put a big cut on meat on the top of the vegetables without any liquid, but it won’t cook as well that has at least some liquid added. Even just some crushed tomatoes with juice will help the meat. Crock pot recipes almost always call for a significant amount of liquid of some type. Place your veggies first, add the meat and then pour the liquids over the top.. The meat will tenderize without drying out and the tougher vegetables surrounded by liquids will be fork tender and flavorsome. Can you add too much liquid to the slow cooker? Be careful of adding too much liquid to the slow cooker. If you do, the food will get very hot and let off a LOT of steam. When this steam hits the lid, the condensation will drip back into the pot and you’ll end up with a watery mess. If you are adapting a stove top recipe for the slow cooker, it’s a good idea to add about half the amount of liquid to make sure that the recipe won’t be too watery. 12. Don’t fill the crock pot too full. Are you guilty of filling the slow cooker too full? The ingredients in a crock pot need some room above them and below the lid to ensure that they simmer slowly and not steam. For most recipes,(like this crock pot jambalaya) this means filling the slow cooker 2/3 full. It pays to think ahead when you purchase a crock pot. 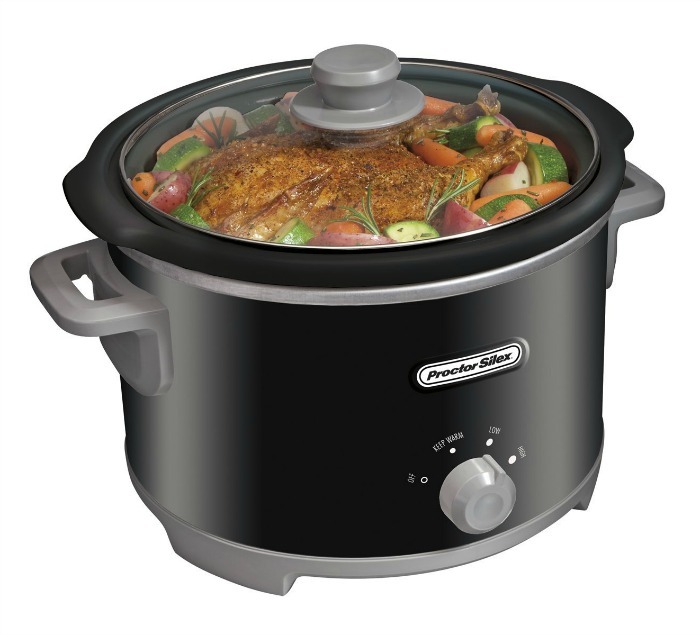 Crock pots come in many sizes from 3 1/2 quarts to big 8 quart models. How many people will you be feeding? 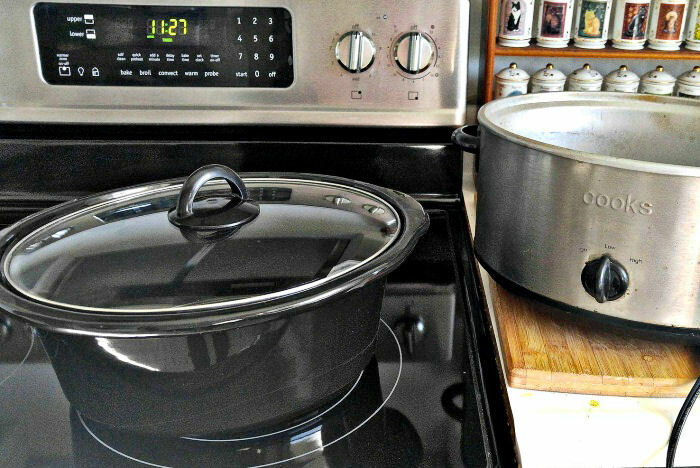 If you have a large family, a really big crock pot may seem like over kill when you look at it but when you account for the extra room, it will be just right. How full should a slow cooker be? Err on the side of “less is more” when you add food to the slow cooker. If you overfill a slow cooker and add food right to the top, not only will the cooking time be longer, but the results will not be as flavorsome. 13. Don’t believe that you can cook everything in the crock pot. Sure, you will find recipes for crock pot peanut brittle and crock pot pasta this and that. But don’t you want peanut “brittle” and pasta al dente (not mushy)? Some things are just better made on the stove top. Certain foods and vegetables cook very quickly anyway. Adding them to a crock pot is not the way to go. 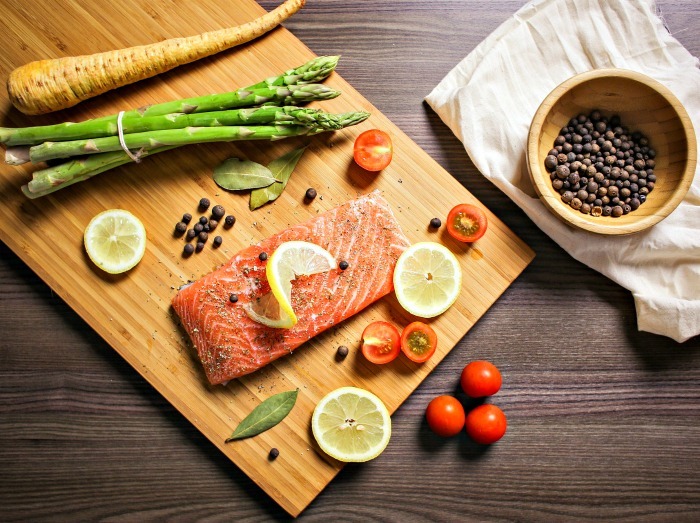 Salmon and asparagus are a lovely combination in a recipe, but cooking them in a slow cooker would give you a watery mess that no one will want to eat. However, the turnip in the photo above is another story. That guy LOVES the crock pot since it is a dense root vegetable that likes a long time to cook. 14. Don’t use a crock pot to reheat food. First of all, you will want to be safe, and secondly, why? The microwave reheats in minutes and a crock pot is meant for long slow cooking. A crock pot is not meant to do everything, folks. If you read the instructions that come with your crock pot, it will tell you not to use it for reheating food. The reason is that food takes a long time to get to a safe temperature and the low setting for a short period could allow harmful bacteria to build up. This means no taking a filled crock pot to a pot luck dinner and turning it on for just 15 minutes when you arrive, unless your idea of a good party time is sending your friends home ill! 15. There is a way to use the crock pot to reheat food. Most crock pots made today have removable stoneware liners. 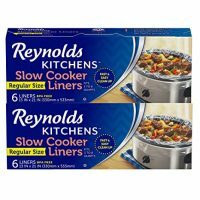 These liners are normally oven safe to about 400 º F. If you cook in the slow cooker often, you will know that the meals are often better on the second day. Put that liner to good use by reheating the whole thing in the oven and you will know that the food is perfectly safe. 16. Don’t under fill the crock pot. The last of my slow cooker mistakes tips comes from a reader of my blog – Robyn. She suggests that you also don’t want to under-fill your crock pot. If your slow cooker is less than 1/2 full while you are cooking, there’s a good chance your meal will burn by the end of the cooking time especially if the liquids cook down too much. If you cut down a recipe meant for 6 to feed two people, but still cook it in a 6 quart crock pot, Then yes, it’s probably too big and the meal will likely burn. Using a smaller size will solve that problem. Slow cookers are also great for serving hot dips at parties! Why not keep one pot for normal cooking and have a smaller one to use for smaller tasks? Can you think of some other slow cooker mistakes that you would like to share? Please leave your comments below! We’d love to hear from you. Admin note: This post first appeared on my blog in January of 2015. I have updated the post to add new photos and a additional crock pot errors that many people make when using a slow cooker. Would you like a printable for the back or your cupboard door? Print out the list of crock pot errors below on the card and laminate it. Print out this list and laminate it to add to the inside of your cupboard door so that you can remember these tips later. Great tips! I too sear my meat before I place it in my crockpot! 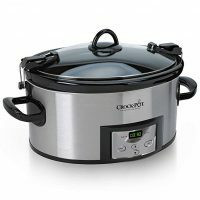 I bought myself an 8.5 qt crock pot for Christmas and I am SO in love with that thing! I have a smaller one, maybe 4 qt., and it just frankly sucked. Not using enough liquid has been the one mistake I’ve made so far, but I am just starting to use my crock pot more now that I have the big one. Thanks for the great tips. I am determined to learn how to get this crockpot to work for me. I need to! I learned a LOT from this post. I love using the crockpot for convenience, but the food doesn’t always come out great, and I see some mistakes I’ve been making. This was really helpful – thank you! Hi Stephanie. so glad you found it useful. I made tons of mistakes with my crock pot when I started but once you iron them out, it is a game changer in the kitchen. Years ago I learned that if I turn the heat up to high for the first hour and then down to low for the remainder of the time needed, the heat boost helps shorten the total time by a couple of hours. 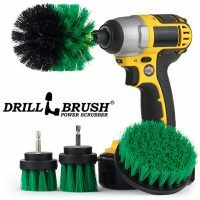 It works great if you’re in a time crunch! Hi Samm. I have never even heard of them. There are times when I want my ingredients stirred but normally, they come out just fine without this step. Hi Peggy. A meat rack is not normally used in a crock pot but if the meat is very fatty, a rack will keep it up off the bottom of the pot instead of having it sit in the fat while it is cooking. Thanks for these tips! I have a large Ninja crockpot that sears, bakes and slow cooks; it also has a timer. I can sear my meat in it using the Stovetop setting, then turn it to slow cook. It is wonderful! I’ll have to look into one that sears. Sounds great! Is # 10 backwards on the 4 and 8 hours or am I reading it wrong? Hope you can help. Are you aware of recipe collection of crock pot recipes for two? To cook smaller servings in a large crockpot, use a small oven safe baking dish with a lid, put dish inside crockpot with ingredients, add water to within about an inch from the top, cover and cook as instructed; no need to have more than one size crockpot (slow cooker). Half an inch from the top of…the oven safe dish with the top on? I think I’m having an unfortunate moment…..
Great ideas that I will use. However, I was disappointed that I couldn’t read parts of article because of ads on the side. I’m on my iPad and like Tracey mentioned, the ads kinda block some parts. Anyways! Why I’m really commenting lol ….. Thanks for this article! I’m still very new to slow cooking and these tips will help me a lot! I got a 4 quart one. Onwards and upwards I guess! Seem when I cook pork roast in crock always seems dry what am I doing wrong? No chicken bones because it breaks up especially chicken curry. Watch the bones in the Meats because other s I have seen first hand choke. It should say bones in meats. This is the unintelligible auto correct of the Internet! That is a good tip that I hadn’t thought of. Thanks Thos. My Compliments, your site is as nicely done as it is helpful. About to “pile it all in” for a crock-party tonight, it being Saturday. Thought to share a tip that shortens cook time a little: First, have ALL of the ingredients ready to go (in order). Next, run your tap till as hot as it gets. Remove and invert the c/p ceramic (best performed with the c/p empty-wink-) under tap. Run about 5-8 minutes; then turn over and fill with hot water. Let sit for 5-8 minutes. Turn on c/p. Pour out water. Quickly make SURE the outside is dry then put ceramic bowl in cooker and fill. In “short talk”, preheat the liner with hot water. Hi Skip. Thanks for the great tip. I have never though of doing this but it makes perfect sense. I made Broccoli Cheese soup on the stove and transferred it to the C/p. The soup is a little thicker than some other soups. After I transferred it and put the lid on the steam formed on the dome lid and water was running back in the soup. I was taking the soup to be a part of a church supper. When I got there 20 -25 minutes the soup was no longer thick. I took the lid off and used some flour and water to thicken it up. I did not put the lid back on for obvious reason. I plugged the C/p in and left the lid off. I could not get the soup hot enough. I had to transfer it to another pan and bring it to temp. on the stove. Any suggestions for me? I DID burn some of my food in the crockpot. I scrubbed and washed the residue where the burned food was really stuck on, but is there any product I shouldn’t use to clean/scrub the liner? Thanks!